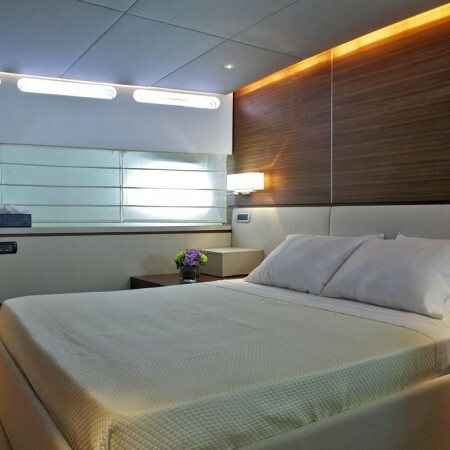 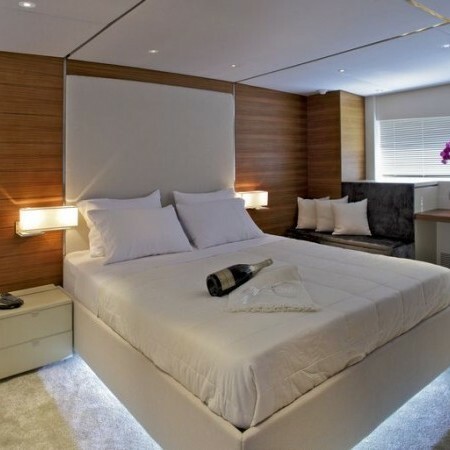 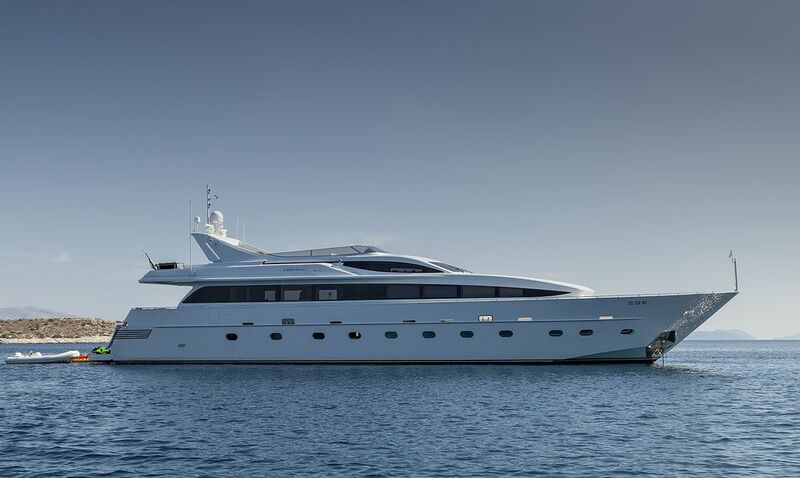 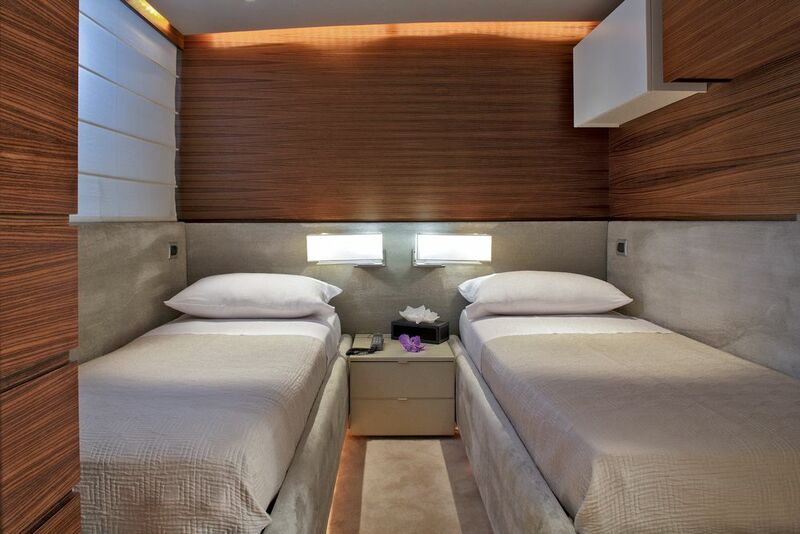 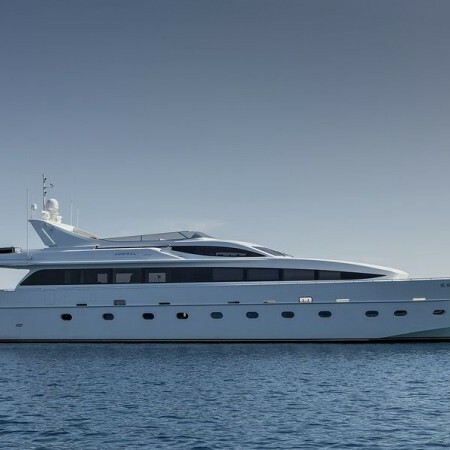 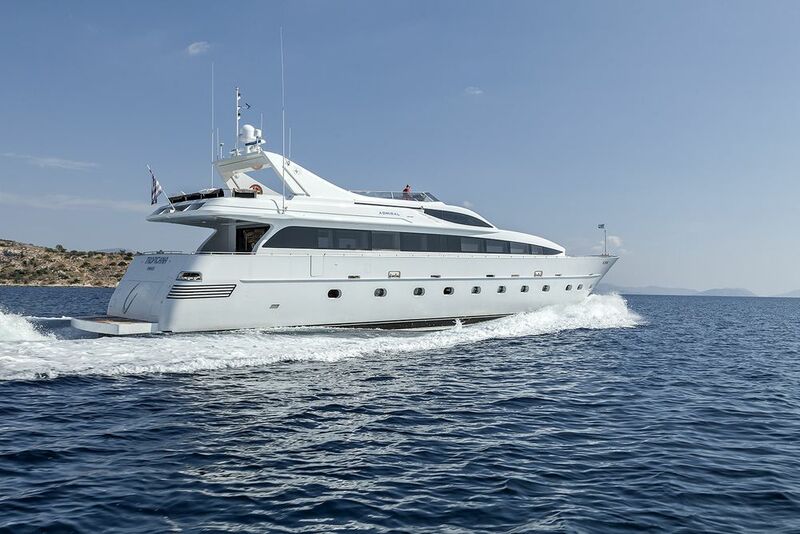 Tropicana is a 32m (105') motor yacht, launched in 2004 by Admiral Yachts and refitted in 2013. 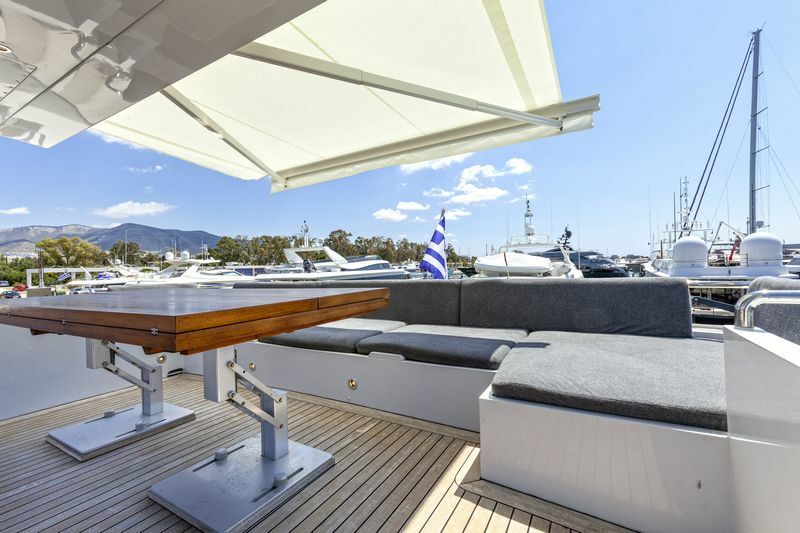 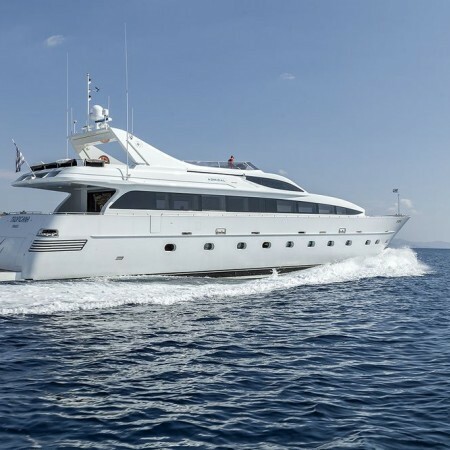 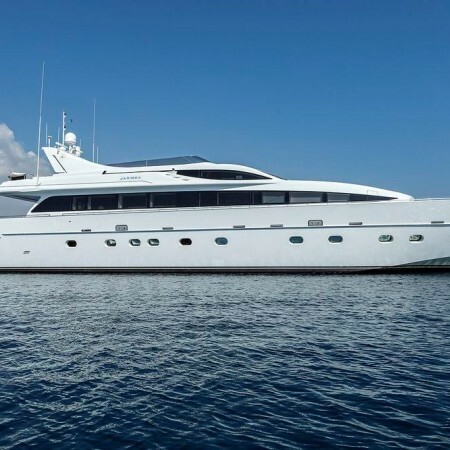 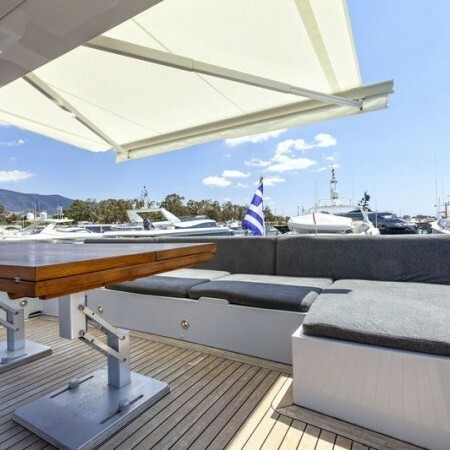 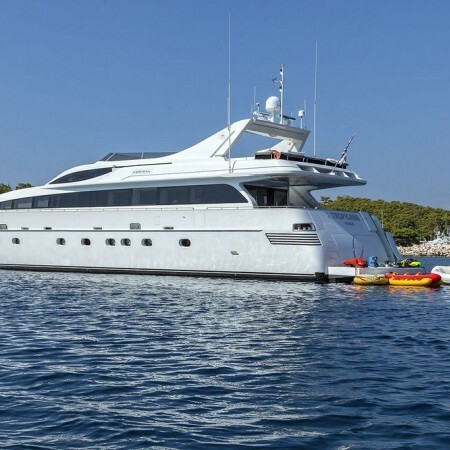 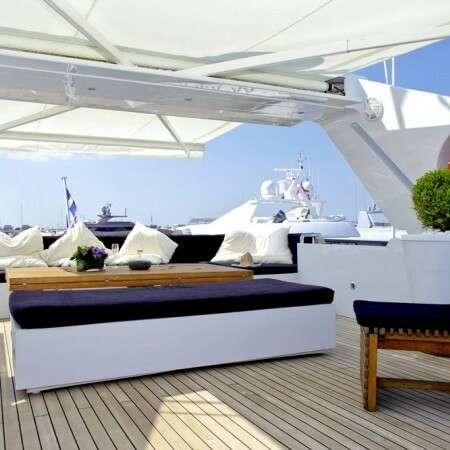 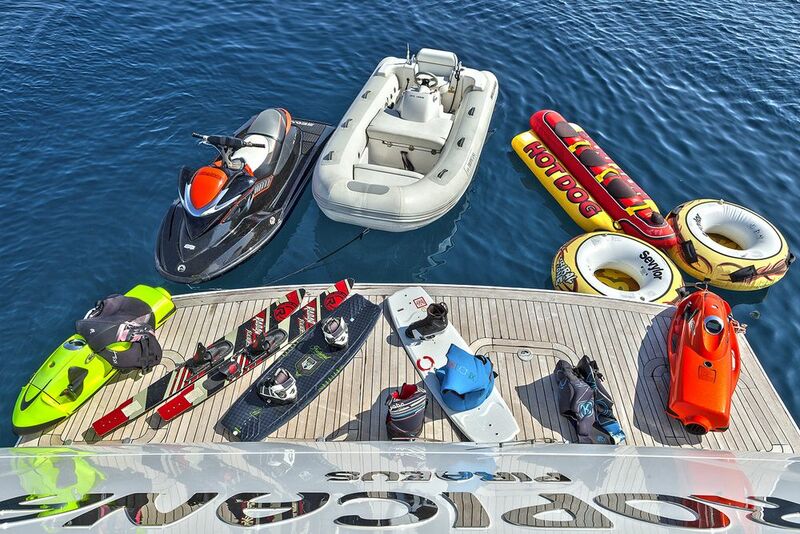 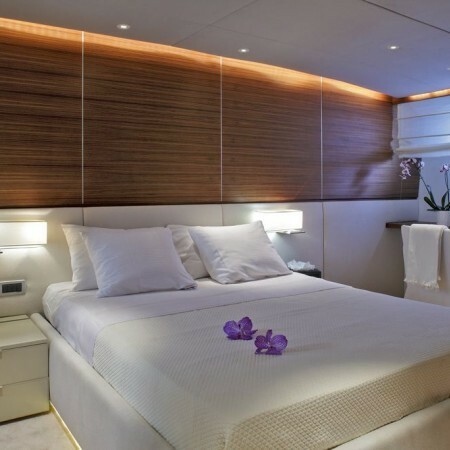 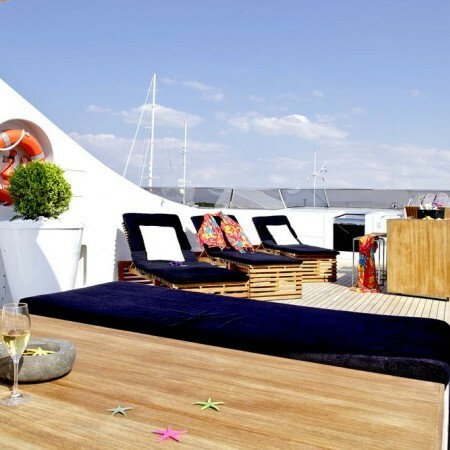 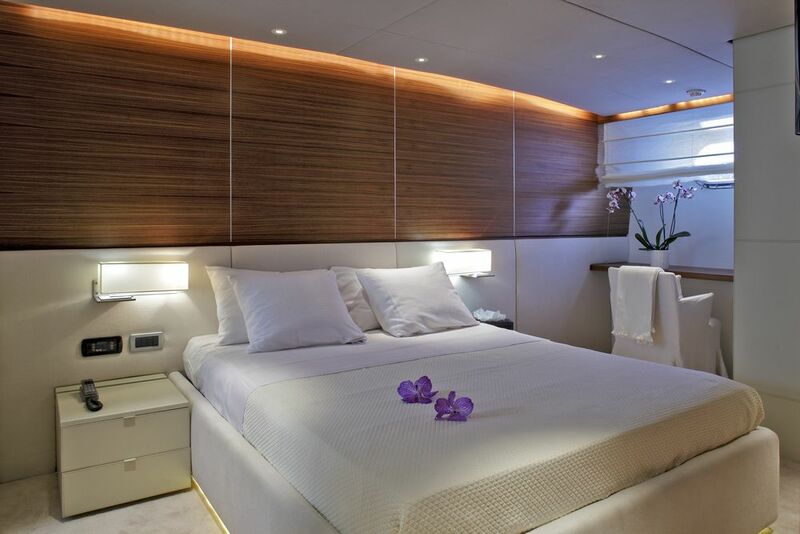 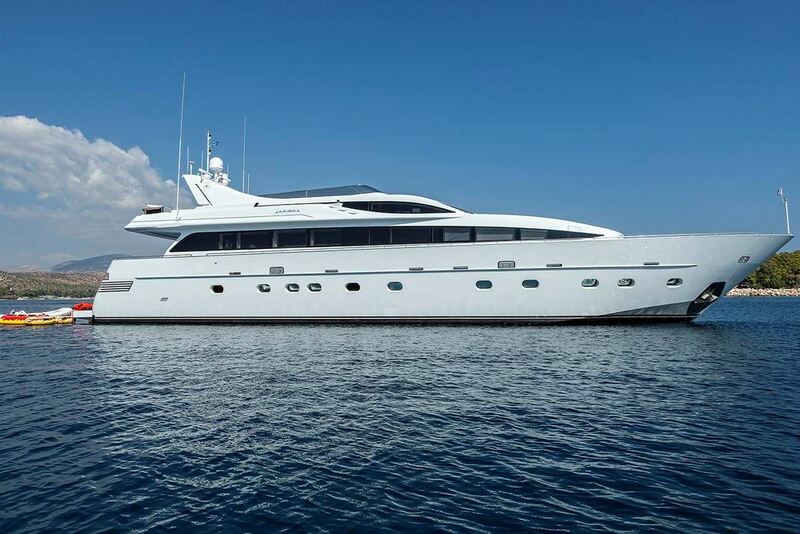 With ample interior and exterior living areas, she is the ideal choice in Greece for charters focused on entertaining and socializing. 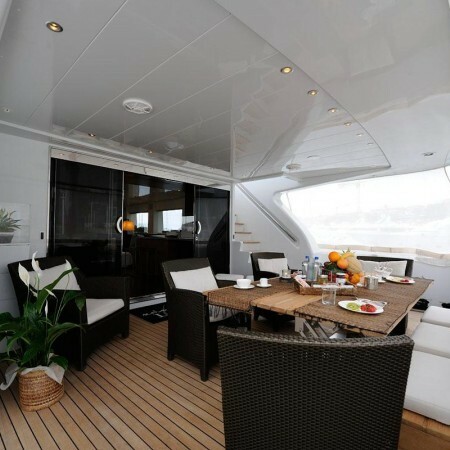 Her interior is filled with natural light from the port and starboard windows, decorated in crisp white and soothing wooden finishes. 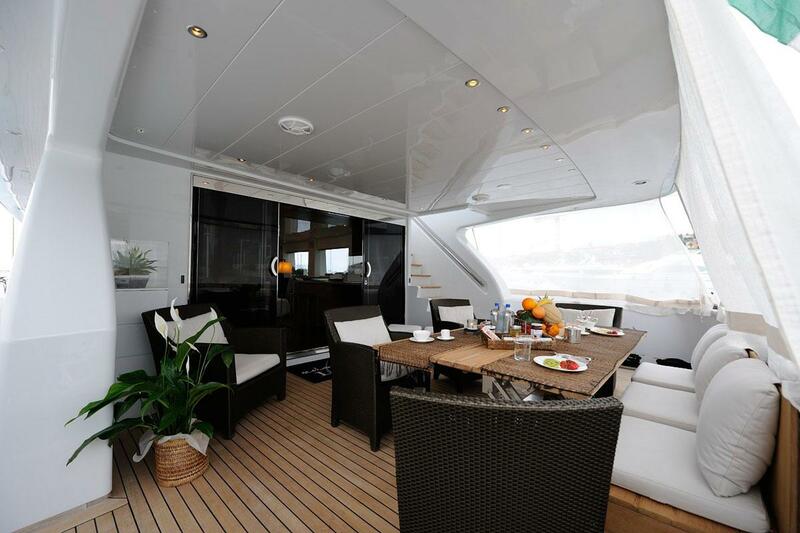 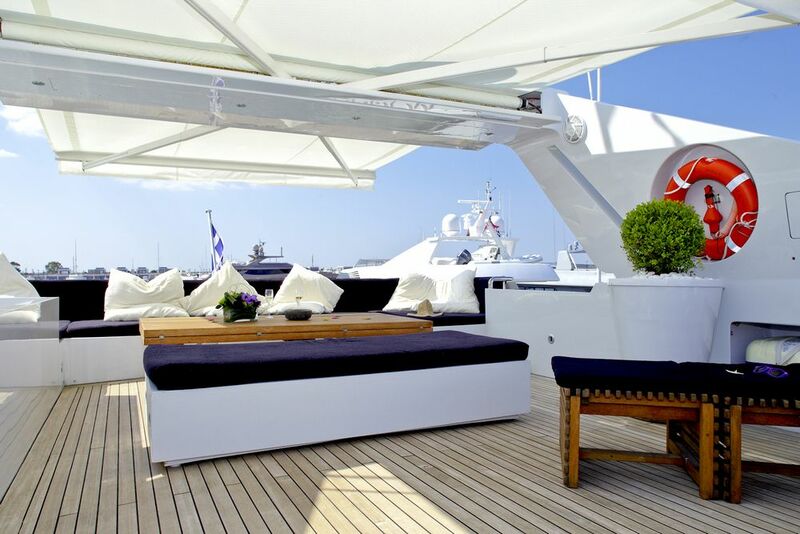 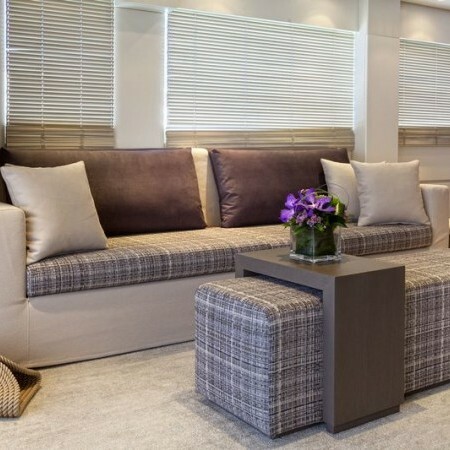 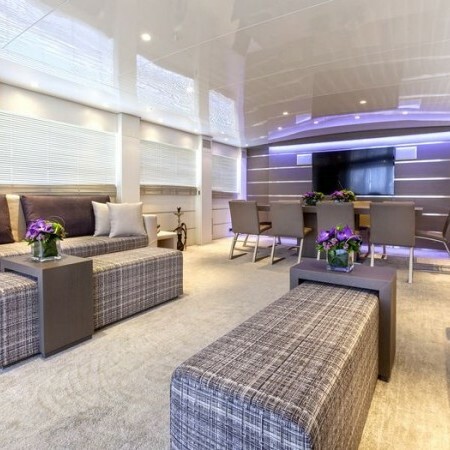 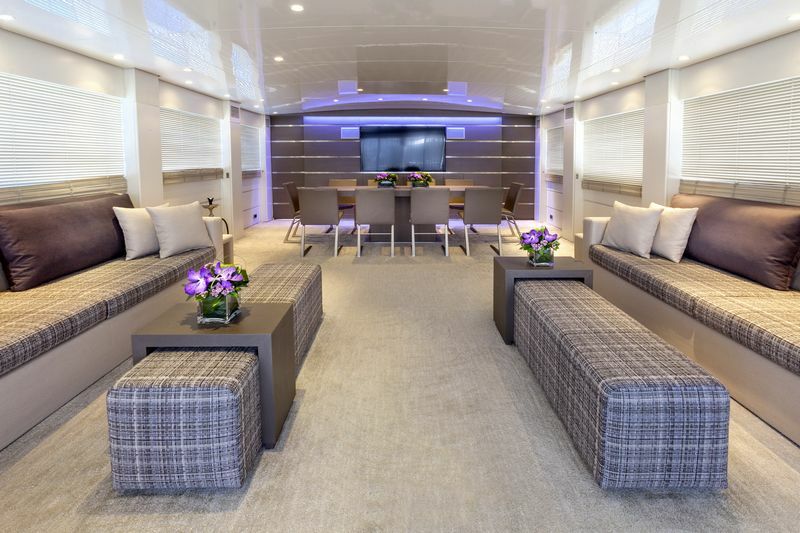 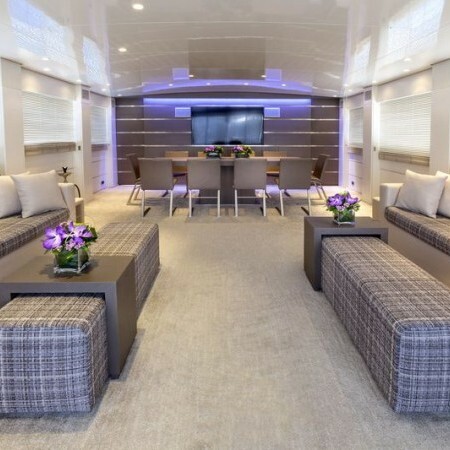 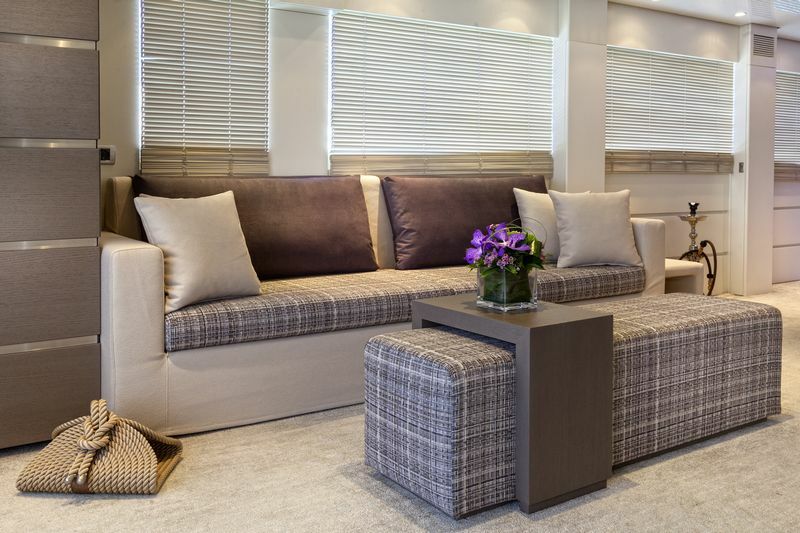 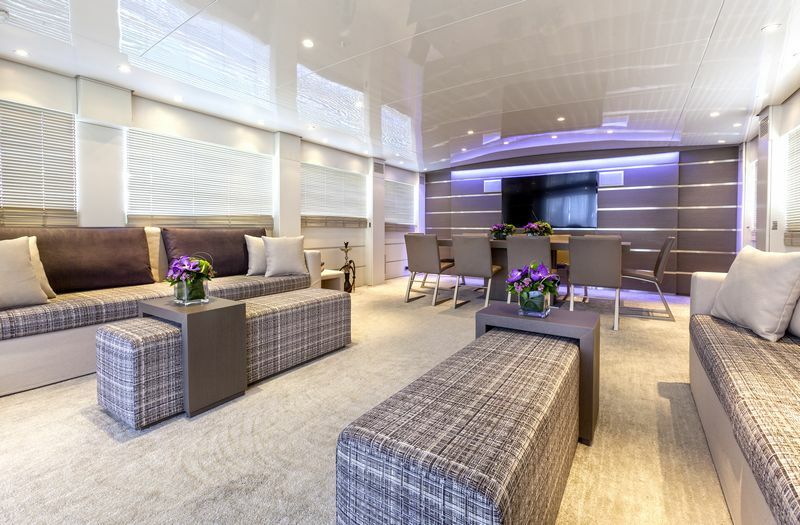 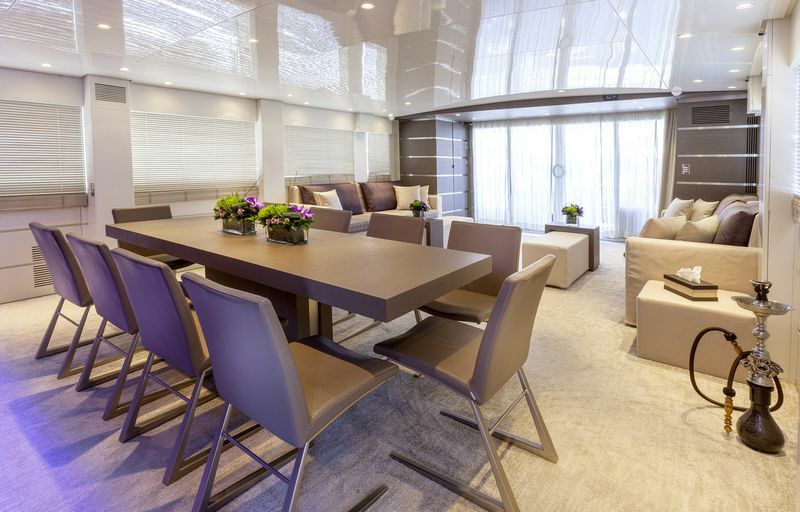 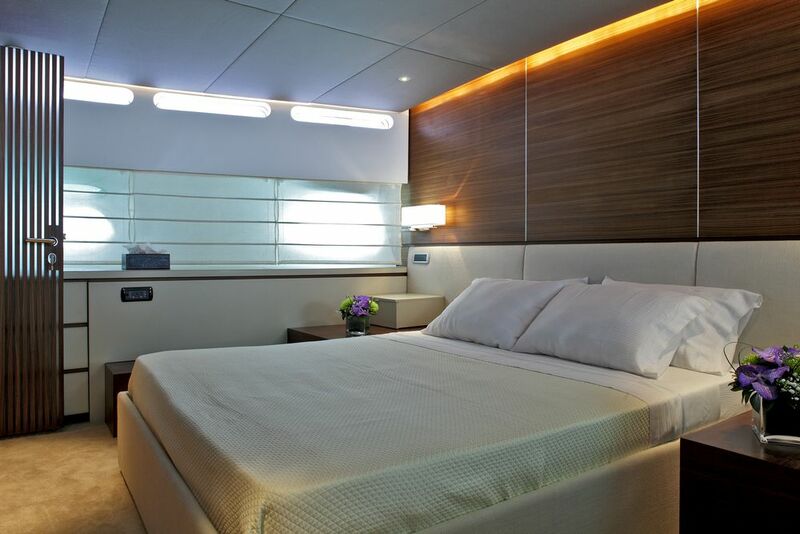 The salon is open plan with wide sliding glass doors that open to the aft deck and its al fresco dining area. 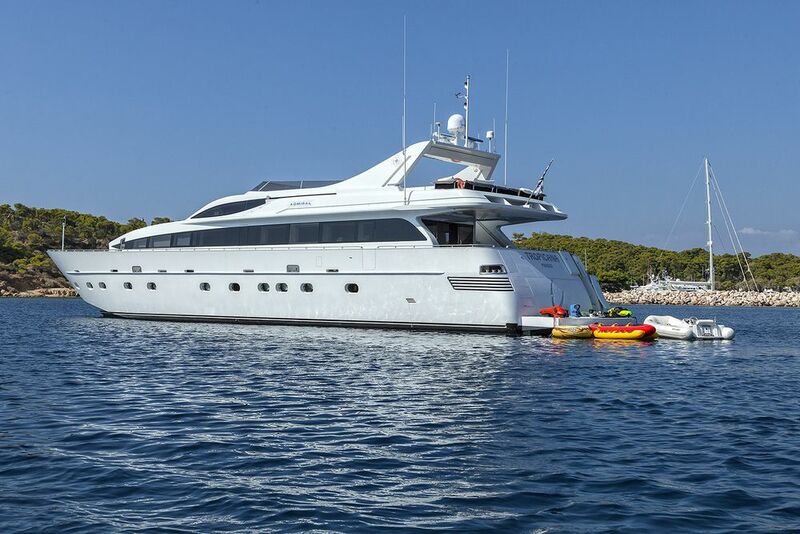 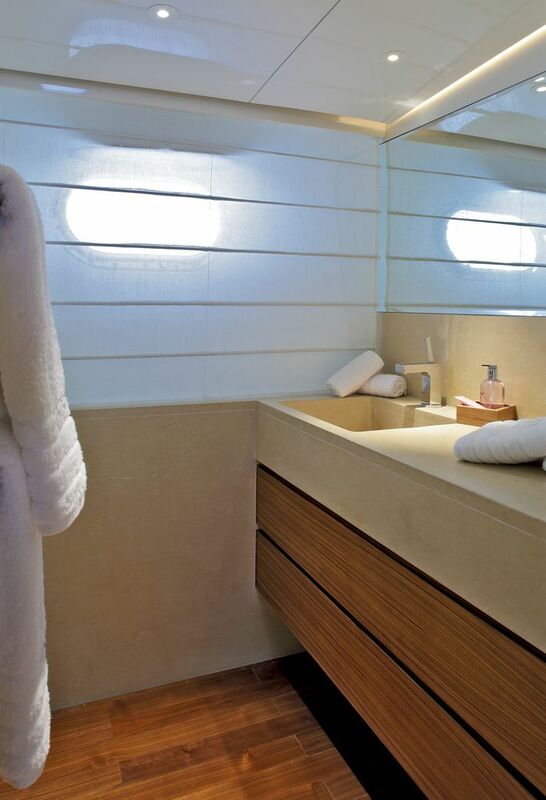 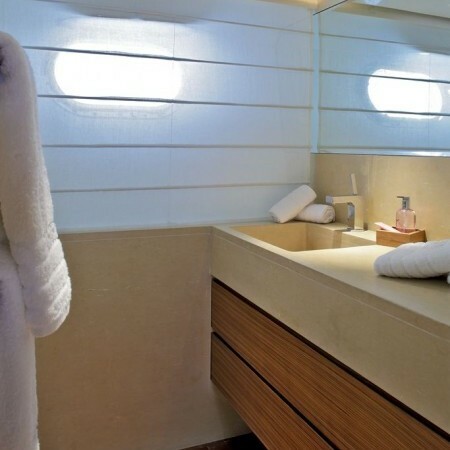 Tropicana transom has an extended swim platform and garage for her water toys and tenders. 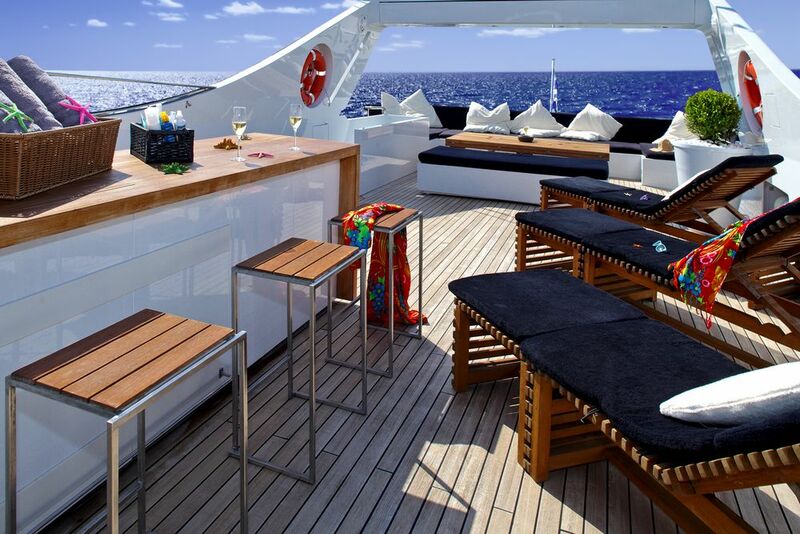 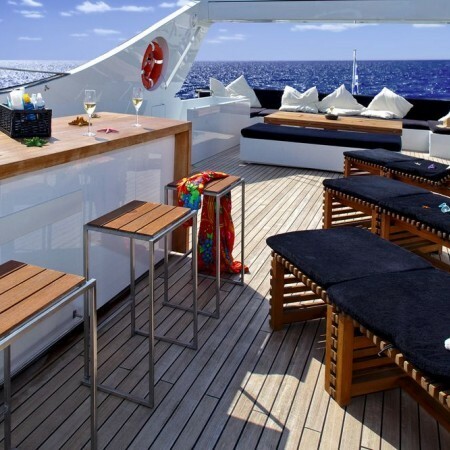 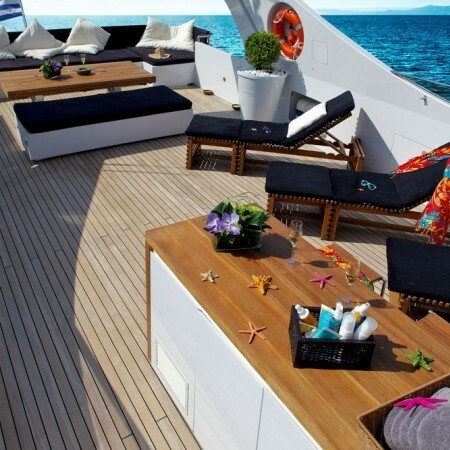 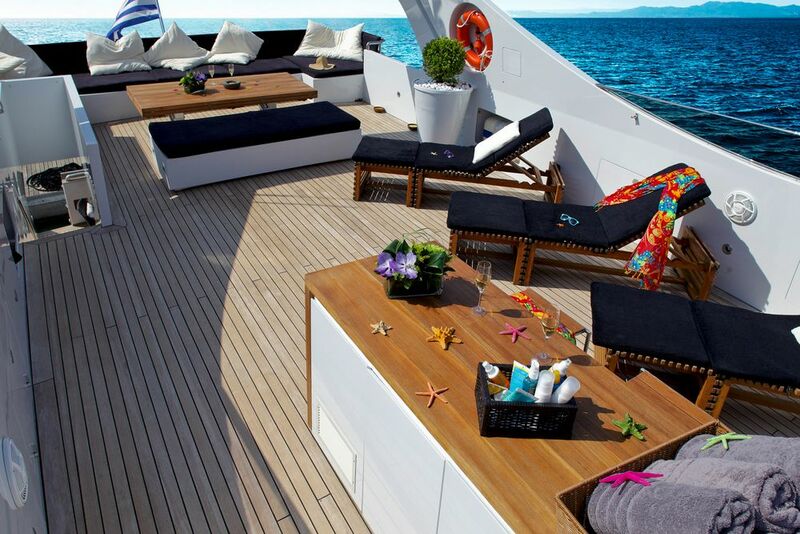 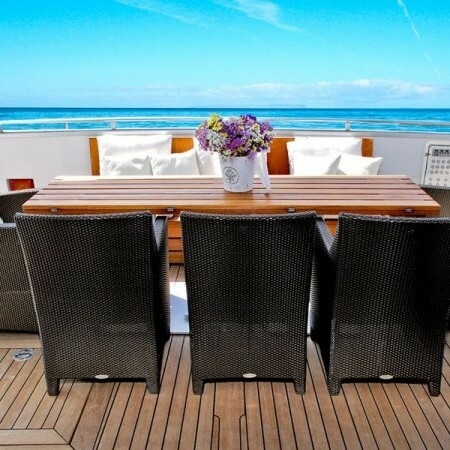 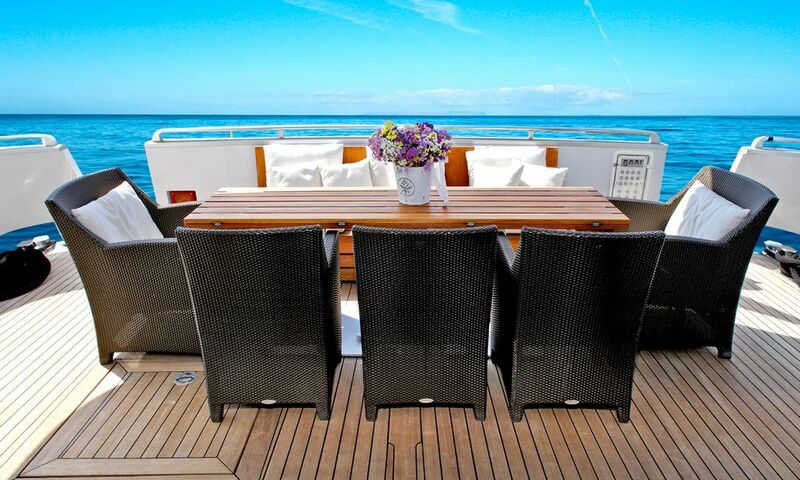 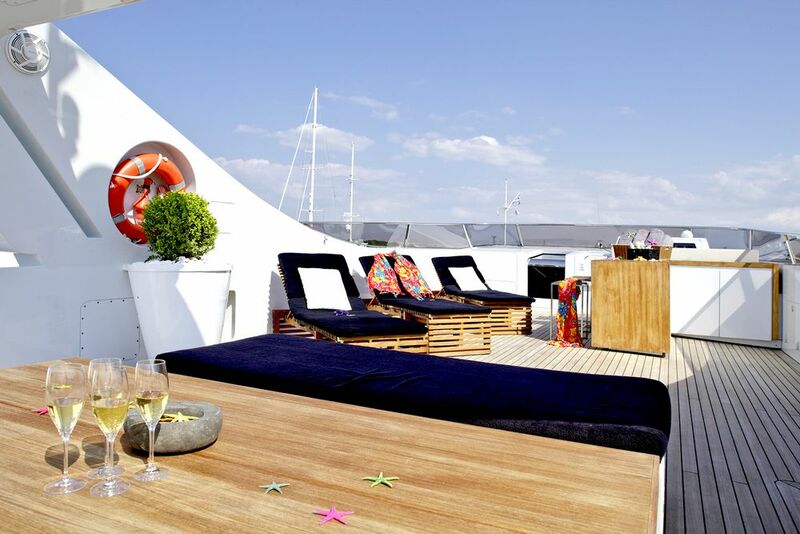 Above her main deck, guests can relax on chaise lounges or sunpad, and enjoy another al fresco dining option. 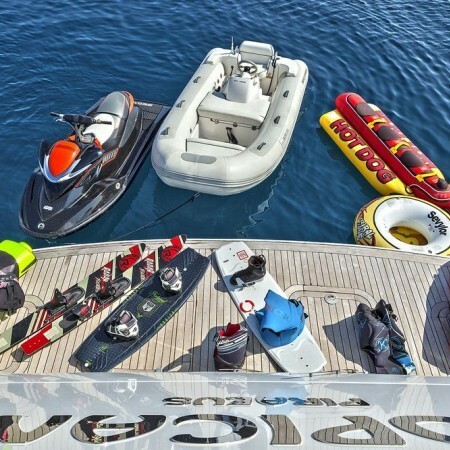 2 underwater Seabobs "Cayago F5S & F7"